Spread the Fever! Welsh rock band Bullet For My Valentine return with their third Jive album, Fever, today! “Your Betrayal” the first single and video from the album is currently #1 on the iTunes rock album chart, #13 on the BDS Active Rock Chart and featured on Fuse’s #1 Rock Countdown show. This week Bullet For My Valentine kicks off a national headline tour in Worcester, MA and continue across the country. Tour highlights include New Jersey’s Bamboozle Festival on May 1st and Ohio’s Rock On The Range on May 23rd, joining the band on tour will be Chiodos and Airbourne. Last night Bullet For My Valentine kicked off release week with a secret MySpace show at the Islington Academy in London which was streamed live on myspace.com. On Thursday, April 29th, BFMV will be at Hot Topic in Paramus, NJ for an in store signing with fans. Fever is Bullet For My Valentine’s third album and follows 2008’s Scream Aim Fire. Fever was produced by Don Gilmore (Linkin Park) and recorded in both the band’s native Wales and Los Angeles. Recently, BFMV re-launched their website http://www.bulletformyvalentine./com where fans can find all things BULLET! 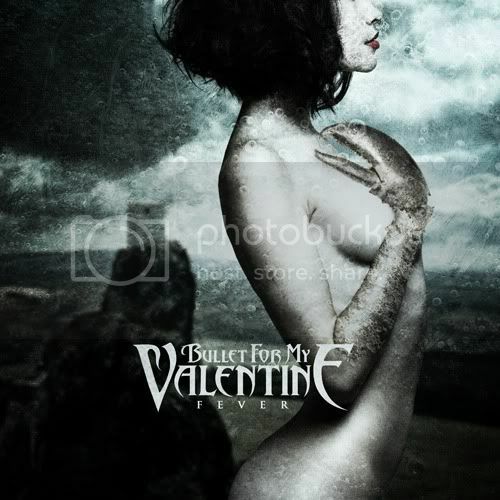 Bullet For My Valentine is running an exclusive only available at Hot Topic. Fans that purchase the new Bullet album Fever from Hot Topic will receive a “unique pin code card” in their CD. Each unique pin code can be redeemed at www.hottopic.com/bulletfever to win cool Bullet prizes. One lucky fan and their guest will win a flyaway to meet Bullet for My Valentine along their fall 2010 tour! Other prizes include 500 signed Bullet posters and 500 Bullet wrist cuffs. Anyone that redeems their pin code is a winner and will receive a complimentary video download of “Your Betrayal.” Visit www.hottopic.com/BulletFever for official rules and complete sweepstakes details. CHECK OUT BFMV ON TOUR! Next → Next post: The Dead Weather to premier new album Sea of Cowards live in its entirety!